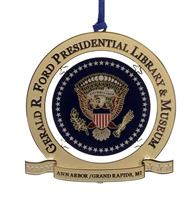 Enjoy your favorite hot beverage with this commemorative Gerald R. Ford mug. 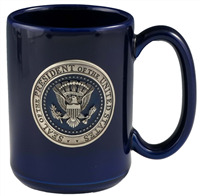 The elegant mug is designed exclusively by Heritage Metalworks. 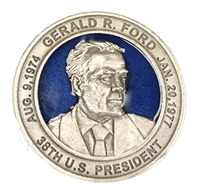 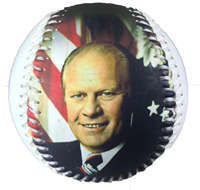 It is embellished with a pewter image of Gerald R. Ford which features his dates in office.